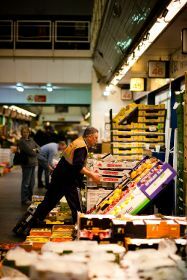 Traders at New Covent Garden Market are taking their fight against the market’s redevelopment to the High Court after failing to resolve their longstanding dispute with the market authorities. The Covent Garden Tenants Association (CGTA) will seek an injunction against the site’s management organisation, Covent Garden Market Authority (CGMA), to halt the reconstruction proceeding further. Construction work, overseen by a joint venture between construction companies Vinci UK and St. Modwen (VSM) plans to have the current buildings demolished, and rebuilt as part of their wider 57-acre project in the Vauxhall area. This will include 3,000 homes, shops, restaurants and 135,000sq ft of office space. Construction work has already seen the flower market moved to a temporary new site. Most recently, on 1 October, the extensive south vehicle car park was cordoned off for foundation works. The CGTA, led by its chairman and owner of Bevington Salads, Gary Marshall, has already recruited QC lawyer Stephen Jourdan in preparation for a costly legal battle in the courtroom. 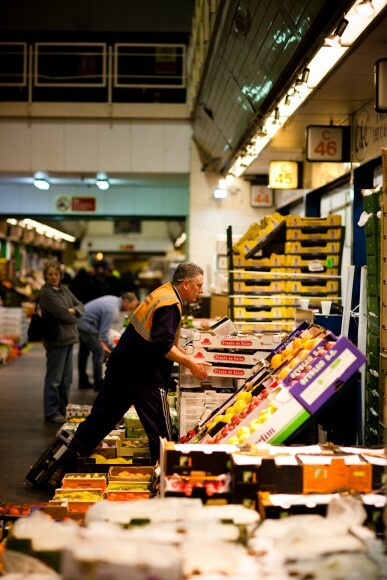 The group is aiming to raise a £1m “fighting fund” from market traders to support their cause. Marshall and the CGTA claim that the development will put the operational effectiveness of the market at “serious risk”, and thereby breach the legal terms of their tenancy, and their rights as traders. At the heart of the matter is the new site’s design by VSM, which traders claim will lead to a reduction in trading space for tenants, and the removal of parking and loading capacity for delivery and customer vehicles, both during construction and once it is complete. The market authority has admitted that the development may cause “some disruption” to traders, but insists the work is necessary to “future-proof” the market. Tenants also accuse the market authorities of failing in their statutory duty to consult them over plans for traffic management during and after construction, disputing a feasibility report by consultants Ove Arup, which they say was done over their heads, without proper consultation. Marshall points to the Arup report, which admits in its summary that “additional space is required for market operation or a limit on vehicle numbers”. He said they had still not seen the full report or the data used, despite the CGMA and Vinci St. Modwen agreeing to give it to them in July. Marshall said: “Yes we have had presentations, yes we have had leaflets, hundreds of emails and letters, but what never transpired was open, honest, transparent and professional consultation. In a statement, Daniel Tomkinson, CEO of Covent Garden Market Authority rejected claims they had not consulted traders on its development. He continued: “To be clear, this redevelopment has been subject to full consultation with Defra, Wandsworth Borough Council, the Greater London Authority, the Covent Garden Tenants Association, and all interested stakeholders. “The extensive consultation we have conducted clearly demonstrates the extent to which we are committed to ensuring minimal disruption to our tenants, though we know and understand that we can’t build this new market without some. Jason Tanner, deputy chair of the CGTA, said the market had already lost one customer due to the south car park closure, with others “seriously considering” using different markets, according to Marshall. He says the CGMA needs to renegotiate the contract with VSM to allow for a new design. “They signed a contract 10 years ago, but the industry has changed so much since then,” Marshall added. Defra, to whom the CGMA are accountable, is yet to weigh in on the matter and declined to comment on the latest proceedings.